The Syrian government says it's expecting a military attack and is "ready to retaliate at any moment," according to a security official who wished to remain anonymous. The US holds Syria accountable for using banned chemical weapons and threatens payback. "We are expecting an attack at any moment. 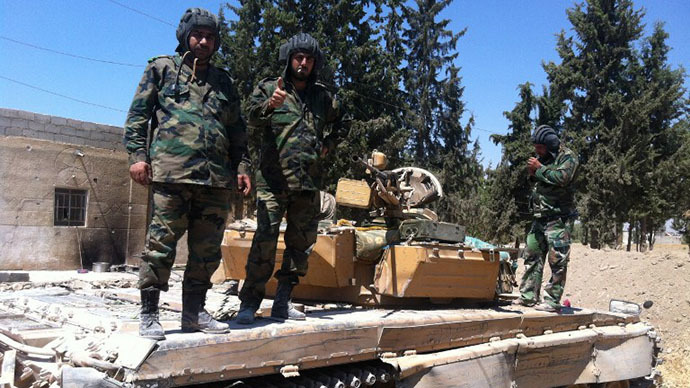 We are ready to retaliate at any moment," the security official in Damascus told AFP. The Syrian Prime Minister also stated readiness for any possible foreign strikes against it, saying that: “The Syrian army is fully ready, its finger on the trigger to face any challenge or scenario that they want to carry out,” in a written statement which was broadcast on television. 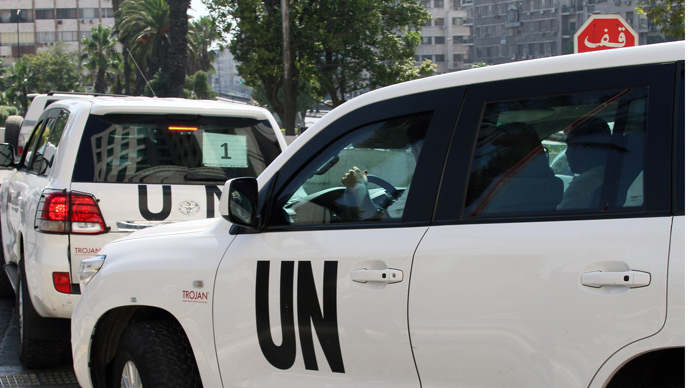 This comes as the UN chemical inspection team finished its work in the Arab country and headed to the Hague with samples taken at the sites of alleged chemical attacks. Earlier, UN Secretary-General Ban Ki-moon said it may be two weeks before for final results of their analysis are ready. The US, which has been mulling a military strike on Syria, said they would not attack while the UN team was still in the country. Following State Secretary John Kerry's Friday Speech, French President Francois Hollande however declared that a strike could come by September 4. US intelligence agencies claim that a chemical weapons attack near Damascus on August 21 killed a total of 1,429 Syrian civilians, including 426 children. The intelligence gathered for the report, revealed Friday, allegedly featured an intercepted communication by a senior Syrian government official familiar with the attack as well as other human, signals and satellite intelligence. 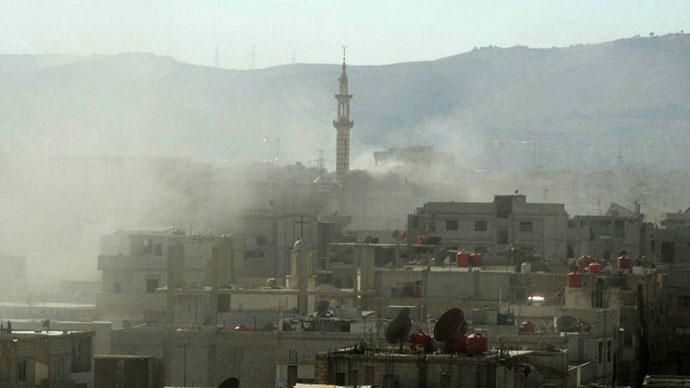 The report stated that President Bashar Assad’s was allegedly responsible for the attack. President Barack Obama used the data to make the case for retaliation against the Syrian government. On Saturday, Russia’s president, Vladimir Putin, declared that the idea that the Syrian government had used chemical weapons on its own people was "utter nonsense". Calling the attack a "provocation" by Middle East forces seeking to get the US involved, he urged Washington to present its evidence to the UN Security Council. At a meeting on the same day between Russian Deputy Foreign Minister Sergey Ryabkov and US Ambassador in Russia Michael McFaul, "it was emphasized that the report by the working group of international experts in Syria shall be subject to consideration by the Security Council," Russia's Foreign Ministry said. 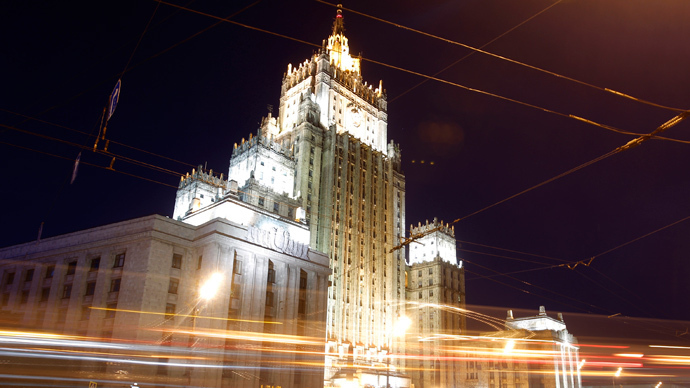 Russia also clearly stated that "any military action against Syria by the US, bypassing the UN Security Council, would be an act of aggression and a flagrant violation of international law." Russia and China have vetoed three resolutions that would increase pressure on Bashar Assad since the start of the war conflict in spring 2011. They are also against a current proposal by the US, the UK and France (the three Western permanent members of the Security Council) for a resolution that would allow military action against Syria over a chemical weapons attack which the West blames on the regime, and the government blames on the rebels. Earlier this week German Chancellor Angela Merkel criticized Russia and China over their stance in the Syrian crisis. "It is very regrettable that Russia and China have refused for some time to come to a common position [with Western partners] on the Syrian conflict. This considerably weakens the role of the United Nations," Merkel said in an interview with German newspaper Augsburger Allgemeine, published Saturday. Merkel ruled out German participation in any military action without international approval. "Germany cannot participate in any military intervention without a mandate from the United Nations, NATO or the EU," added Merkel, who is seeking re-election as chancellor for a third consecutive term in late September. A poll published Thursday showed German public opinion against military action by the West in Syria, with about three-fifths opposed to any potential strikes, and only about one-third in favor of military intervention. Another poll showed that most French people do not want France to take part in military action on Syria, either, and that most do not trust French President Francois Hollande to do so. A BVA poll released by Le Parisien-Aujourd'hui en France, showed that 64 percent of respondents opposed military action, 58 percent did not trust Hollande to conduct it, and 35 percent feared it could "set the entire region [Middle East] ablaze". The French president said that Britain's parliamentary vote, which rejected a motion authorizing military action in Syria on Thursday, would not affect France's own actions, however. Hollande, whose popularity has been affected by the economic slowdown, showed unexpected military vigor when he dispatched troops to help Mali's government fend off Islamist rebels earlier this year in Africa, an intervention then backed by two-thirds of the French public.